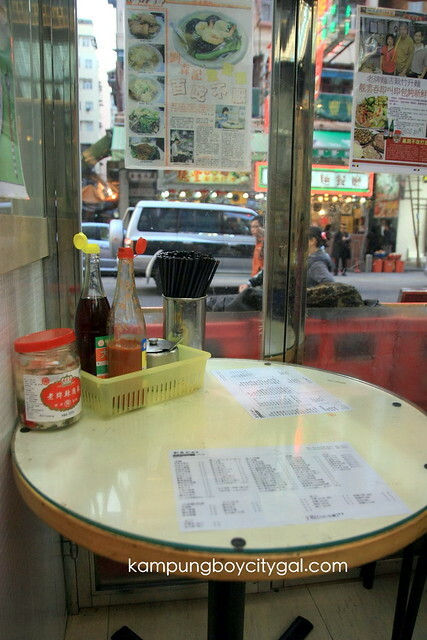 Sham Sui Po is a treasure trove for local cheap eats. 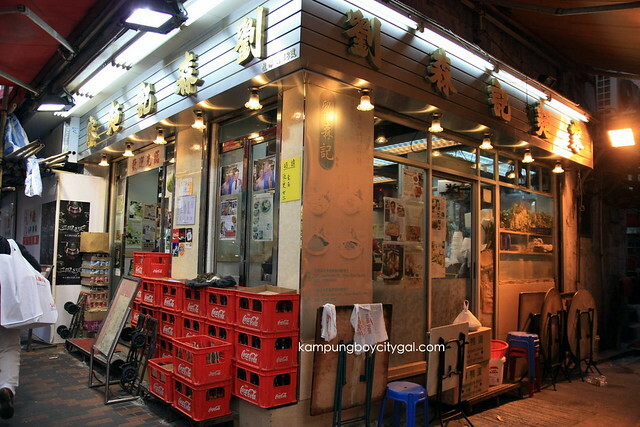 It is an area concentrated with famous eateries such as Wai Kee pork liver noodles, Hup Yik Kee cheong fun, Kwan Kee snack shop and also Lau Sum Kee dried shrimp roe noodles. 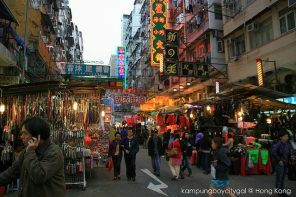 Since we were doing a mini food crawl at Sham Sui Po area, it is like committing sin if we skipped Lau Sum Kee. Though being a famous establishment, the store space is small and cramp with limited seating capacity. 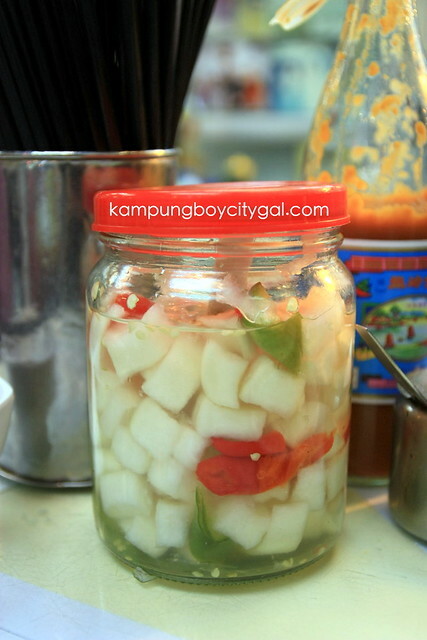 While waiting for the food to be served, we enjoyed having their home made radish pickle kept in jar. 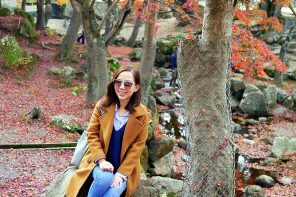 It was so delicious – crunchy and not too sour. 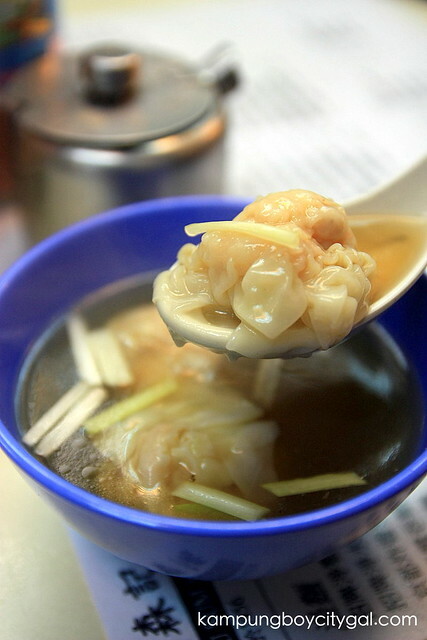 It also whets our appetite that we can still order double portion after having cheong fun and pork liver noodles. Here comes our jook-sing noodles (bamboo pressed noodles) (HKD 30, with wanton) tossed generous in har zi (dried shrimp roe). 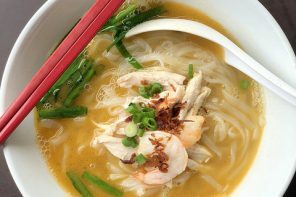 Jook-sing noodles is typically made of duck eggs and the chef rides a bamboo log to press the eggs, flour, and other ingredients together. The result is a firm and springy noodle texture. 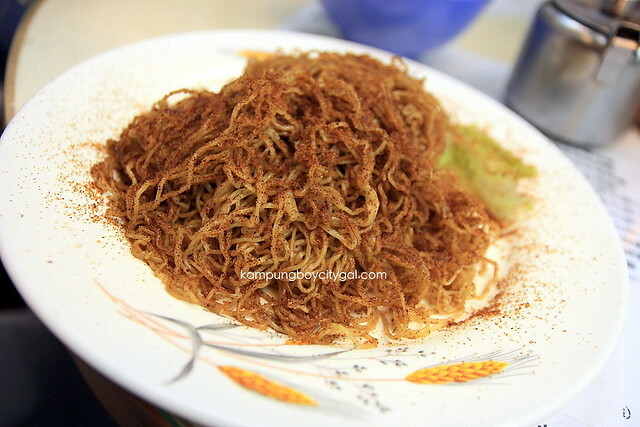 Dried Shrimp Roe is a Chinese condiment made by salt-curing the eggs of prawns before they hatch. It has a salty umami-rich seafood flavour which enhance any type of plain tasting food. 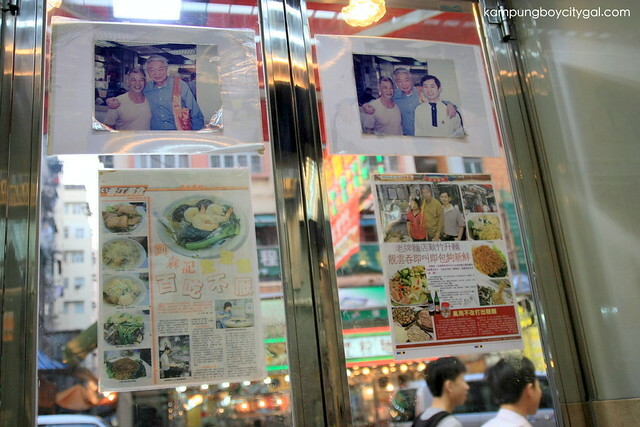 We have tried springy and crunchy wanton noodles at several noodles establishment in Hong Kong and Macau but Lau Sum Kee’s version were a bit too hard and chewy for our likings. 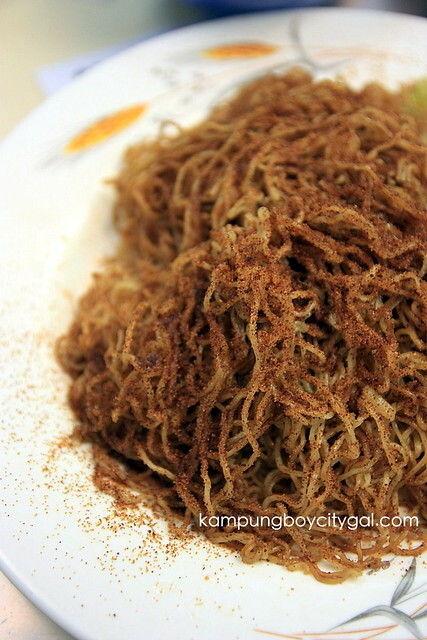 The dried shrimp roes imparted a rich flavour to the noodles. The wantons, on the other hand, were delicious. It looked so plump and full of ground meat and shrimp. We walked away feeling slightly disappointed as the noodles were not up to our expectations. 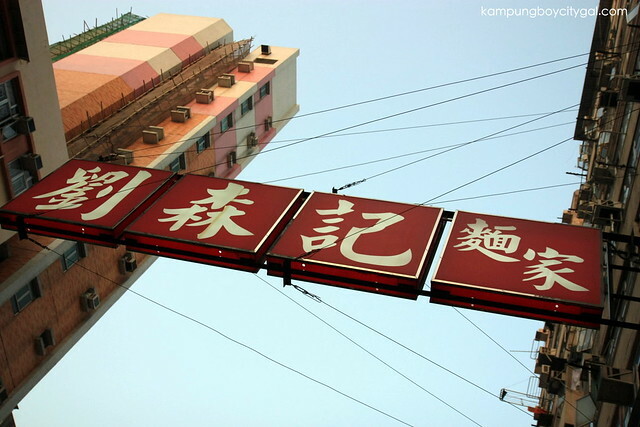 We will go back to Cheung Kei @ Macau to get our fix of har zi meen next time.